While there are many factors contributing to addiction development, psychological illness is one of the most common. This is why drug treatment is often incomplete without some form of counseling support. Take a look at why mental health treatment is necessary and what it looks like for patients in the throes of substance addiction. It’s difficult to understand why certain individuals are more likely to struggle with addiction than others. There’s a lot of evidence suggesting that genetic factors play a strong role. However, there’s no denying a relationship between mental illness and addiction. Likewise, people who struggle with addiction are more likely to develop mental health concerns. The opposite is also true, that is, having a mental illness makes you more prone to substance abuse and addictive behaviors. For many people, suffering from an untreated mental illness can motivate substance abuse. This becomes a form of self-medication and method for coping with undiagnosed symptoms. Of course, choosing to self-medicate is never an effective way to handle stressors. More often than not, it makes mental illness symptoms worse. Struggling with substance abuse and mental health simultaneously are co occurring disorders. Therefore, because these two issues affect one another, medical professionals must provide individual treatment for both. Although more than half of individuals with addiction problems also have mental health disorders, the two conditions have their own treatment requirements. In reality, addiction specialists should address and treat them at the same time. This is known as dual diagnosis treatment, and it’s often the key to lasting addiction recovery. By only treating the addiction, mental health concerns often lead to relapse. This renders all addiction treatment progress virtually worthless. Not to mention, some people get treatment for their mental illnesses, while ignoring their addiction. Likewise, addiction often makes mental illness symptoms more severe. Both of these strategies have their flaws. A person can’t make meaningful mental health progress while under the influence of drugs or alcohol. Similarly, mental health issues prohibit truly effective recovery. Therefore, lasting sobriety requires simultaneous treatment. With dual diagnosis, patients can get the specific, necessary care to be successful. Addressing mental health is complex. In addition, it needs to be unique for every patient. Extensive therapy is often the foundation of treatment, and a combination of diverse methods helps tremendously. Often, individual psychotherapy is a great way to discuss bigger issues and work through complex diagnoses. Group therapy or family involvement can be extremely helpful as well. Sometimes, patients also require pharmacological treatment. Certain medications allow patients to live life without abusing other substances. Mental health treatment should always be a part of any successful recovery plan. 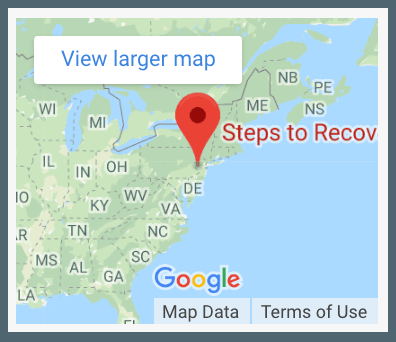 At Steps to Recovery in Levittown, Pennsylvania, you’ll have access to programs for your mental, emotional, and physical health. Overcome addiction and take control of your life again by calling 866-488-8684 today.